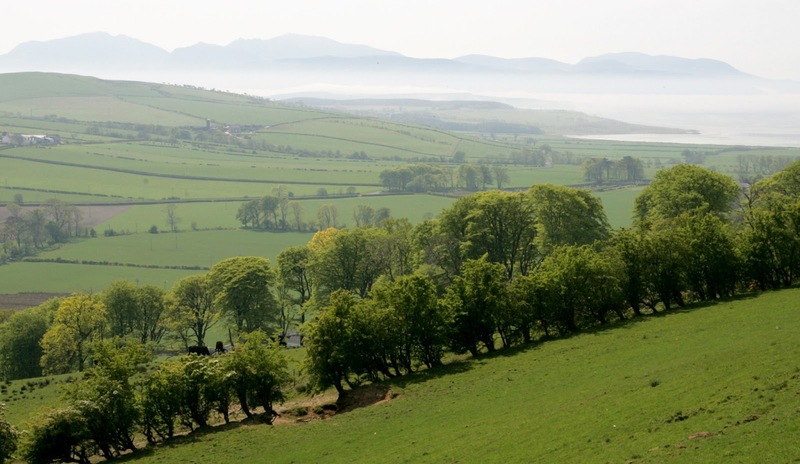 Leading independent property consultants CKD Galbraith are offering for sale Hilton Farmhouse, a most impressive country house for which offers over £499,000 are being sought. 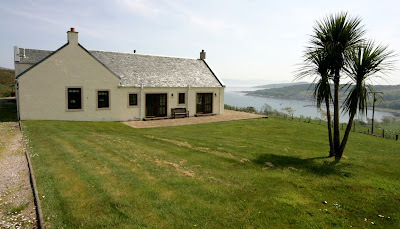 Hilton Farmhouse is set in a wonderful private elevated position on the Isle of Bute with sweeping views from Skelmorlie across the Toward peninsula to the east, Largs and Cumbrae, Craigmore and Ardbeg points on the Island, south over Kames Castle and Port Bannatyne Golf Course and west across Ettrick Bay to the north ends of the islands of Inchmarnock and Arran and further to the Mull of Kintyre. Due to its proximity to the Gulf Stream, the island enjoys a particularly mild climate and has become known as the “Madeira of Scotland”. Rothesay (about 3 miles) offers an extensive range of amenities including primary and secondary schooling, a campus of the Argyll College, a good range of shops, a first-class hospital and golf course. There is some excellent walking on the island including The West Island Way which runs the length of the island. 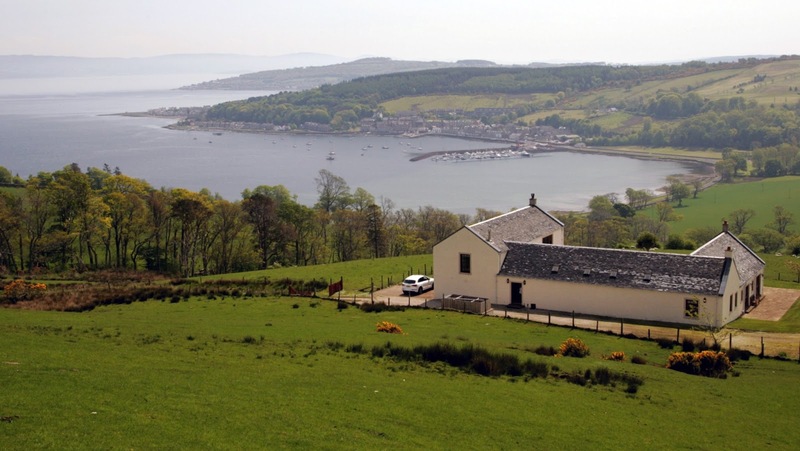 Owing to the island’s superb location, Bute is a popular sailing destination. The house overlooks Port Bannatyne, and its new 100 berth marina. Hilton Farm is a superb restoration of a farm steading. 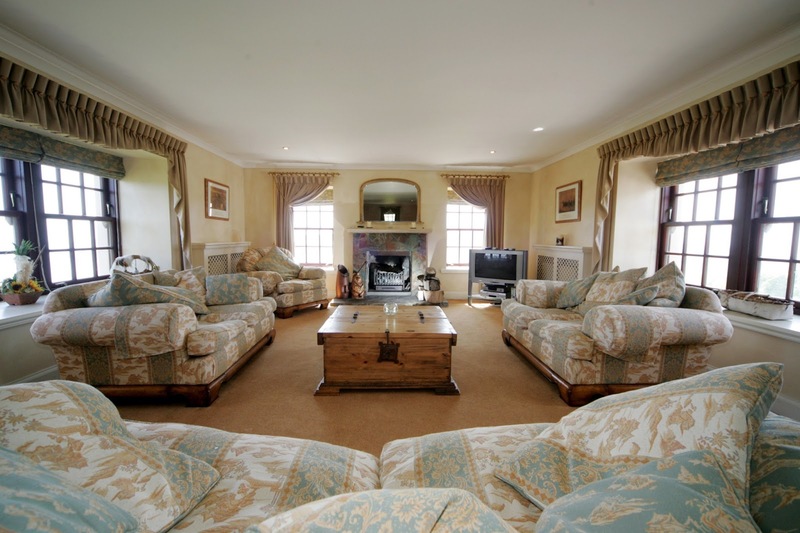 The house has been carefully renovated to provide a striking country house with extensive accommodation including a wonderful lounge occupying the whole first floor which makes the most of the house’s position overlooking the Firth of Clyde and the island. All of the bedrooms and reception rooms on the ground floor have doors leading to the terraced gardens. There is an attractive custom-built Brazilian Mahogany spiral staircase and a lovely hand-painted feature wall. 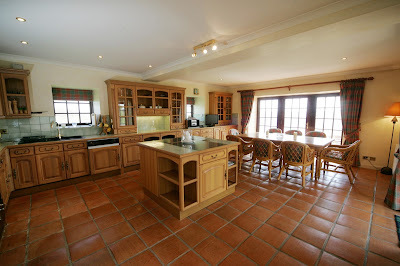 The attractive dining kitchen with marble topped island unit has a wide range of fitted floor and wall units. The west side of the house, has 3 bedrooms (1 en suite shower room) and a master bedroom en suite with dressing room. There is a family bathroom and a sitting room/snug with a lovely fireplace with electric fire. Beautiful maintained grounds surrounding the House with palm trees and fruit trees and a central sheltered courtyard is perfect for outdoor entertaining on a grand scale. Hilton is a special property on account of its exceptional position and it will appeal to buyers seeking a unique second home and also those with a passion for sailing.